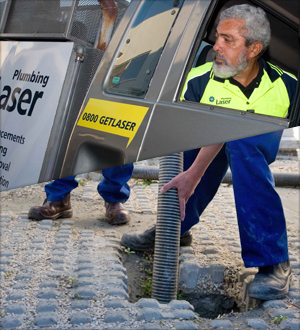 Laser Plumbing Christchurch East provides supply, installation and maintenance of septic systems for domestic and commercial requirements, serving clients across all of Christchurch's suburbs and surrounding areas. A poorly-maintained septic tank will become a serious health hazard, spreading disease and contaminating water sources, so maintenance and regular cleaning of your septic tank is crucial! If you have any queries about septic tank care or want qualified advice about your septic tank system, please give us a call. We also offer other cleaning services including cleaning grease interceptors. Please contact us to discuss your requirements. Eventually your septic tank will become full and it will need to be emptied. It’s not a job for the faint hearted, but our team are pro’s at this type of work. No septic system can function without being cleaned out regularly. We would recommend that most septic tanks be cleaned and desludged every two-three years (or more regularly if it sees a lot of action. Cleaning the tanks on a regular basis keeps it functioning efficiently allows it to maintain good pumpable condition. We maintain a comprehensive client database which allows us to schedule regular maintenance and servicing of your septic system if required.